Stilwell Design & Remodeling will work with you to evaluate the space and your needs and desires to design and create the kitchen that reflects your tastes and dreams, and a flow that compliments your lifestyle. With your input and our expertise, we will help you select the products — from the cabinets and countertops down to the flooring and fixtures — that create just the right presentation you desire for your kitchen. 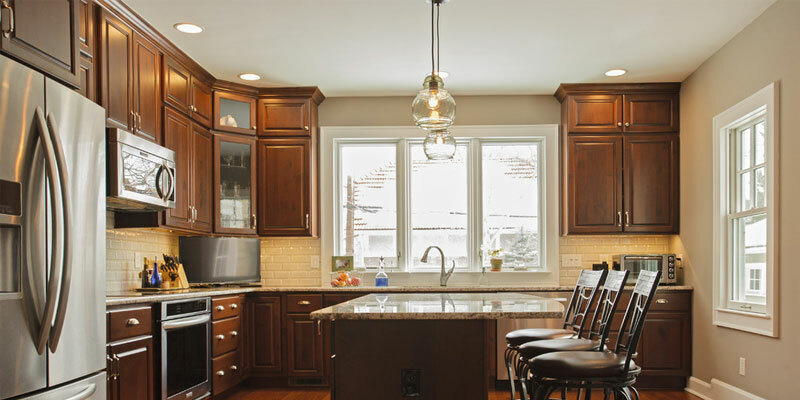 We carry Great Northern Cabinetry, a line of standard and semi-custom cabinets ordered directly from the manufacturer. We are also able to design and produce high-quality custom cabinetry and millwork to replicate any style.